well we survived the blizzard. It snowed and snowed and snowed but the flakes were fluffy and light so we did not have a problem with power but we certainly did have a lot of shoveling and thankfully our snow blower roared to life so we were able move the snow off of our driveway. So we all geared up headed out into the snowy wonderland. huzzah...for snow and for the snow blower. warm and cozy watching an earned movie for filling up his sticker chart (a great piece of toddler incentive). I have finished painting the Lemon's room and the carpet has been put down. For Christmas my Mom gave me a chair that once belonged to my Dad. It is one of the most comfortable chairs, especially with a new cushion. 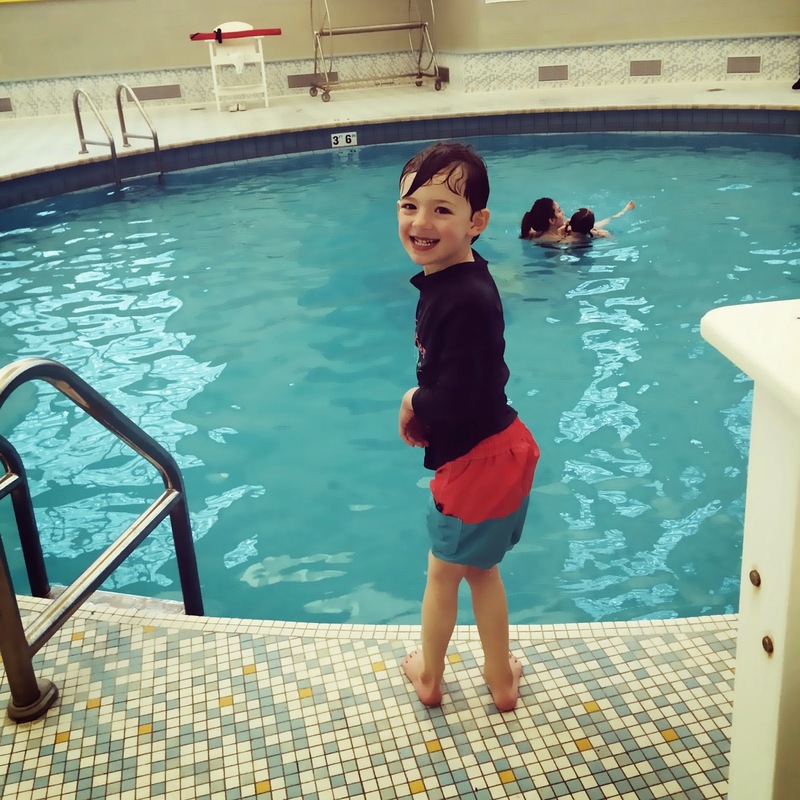 Oliver loves to play in the room, heck he plays in the Lemon's room longer than on his own. With Matt out of town we were sweetly invited over to a friend's house for a playdate and dinner. 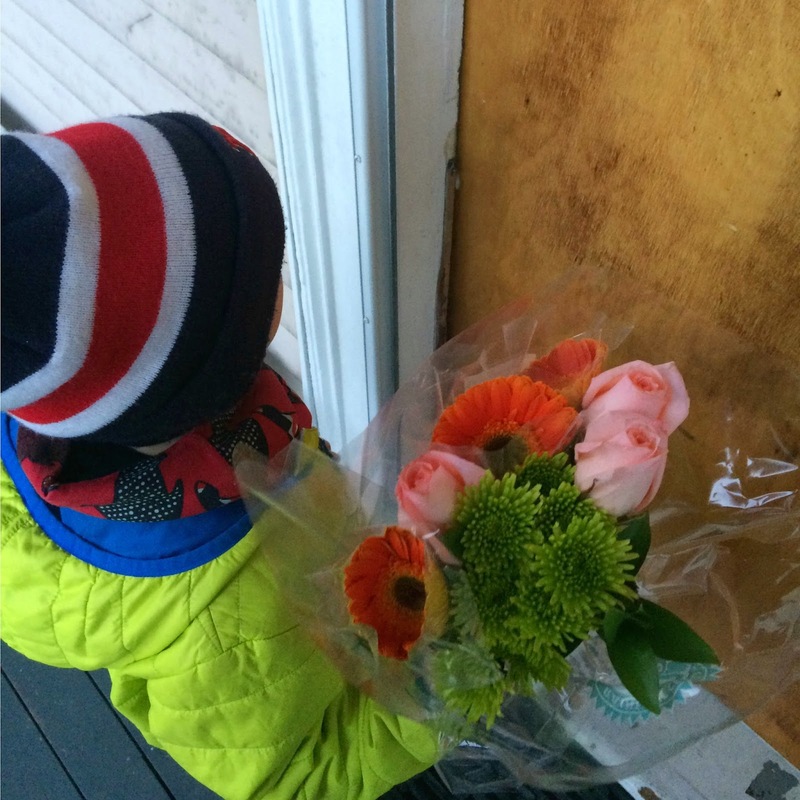 Oliver picked out the flowers at Trader Joe's and proudly waited at the door to present them. heart melted. 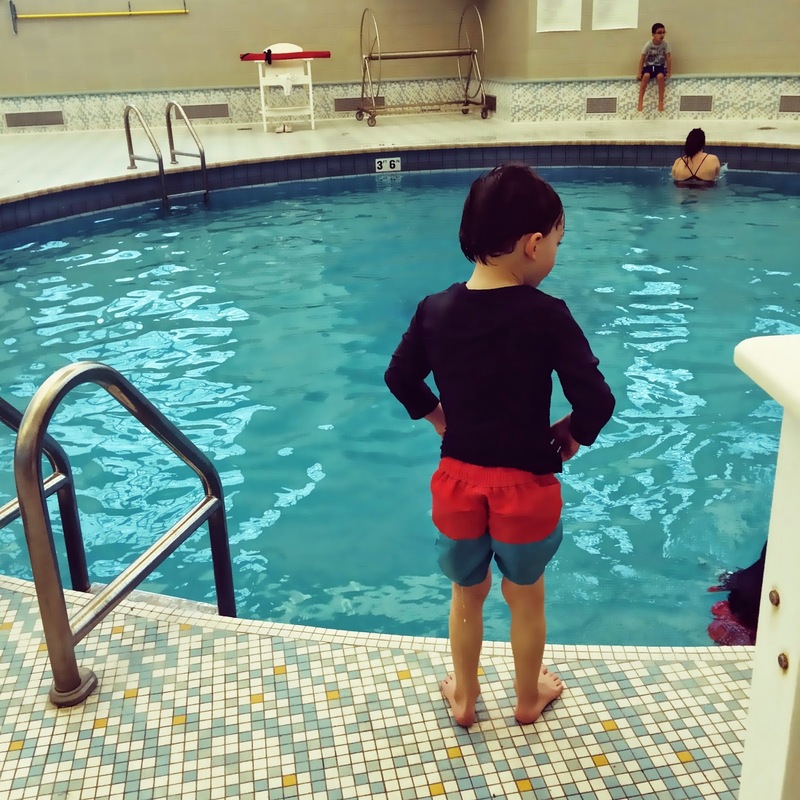 swim class! He is doing much better and was a lot more positive this past week. much better! more smiles and a lot less tears. 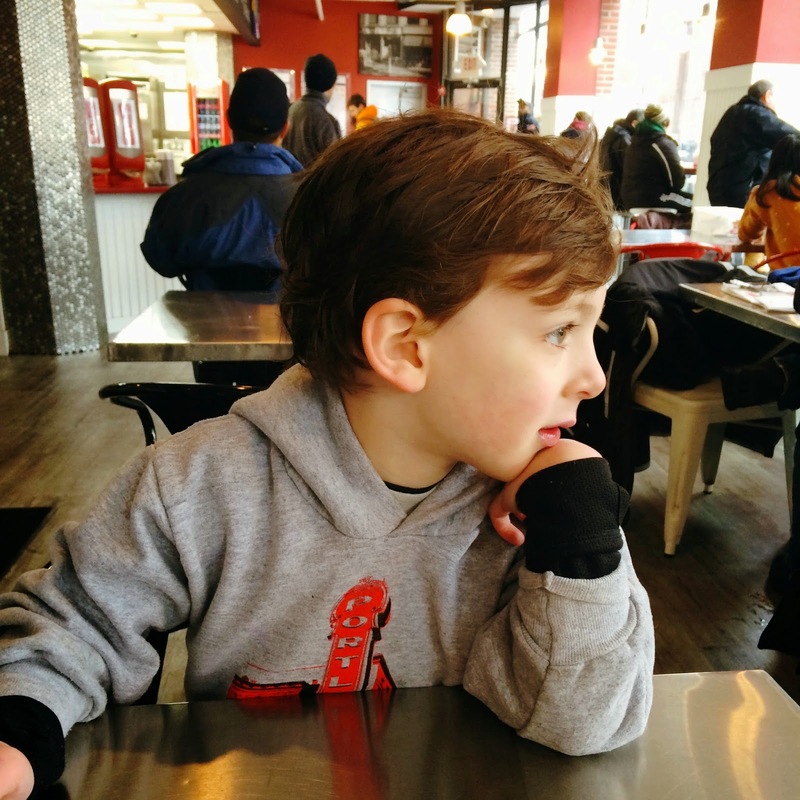 cutest, sweetest lunch date out there. 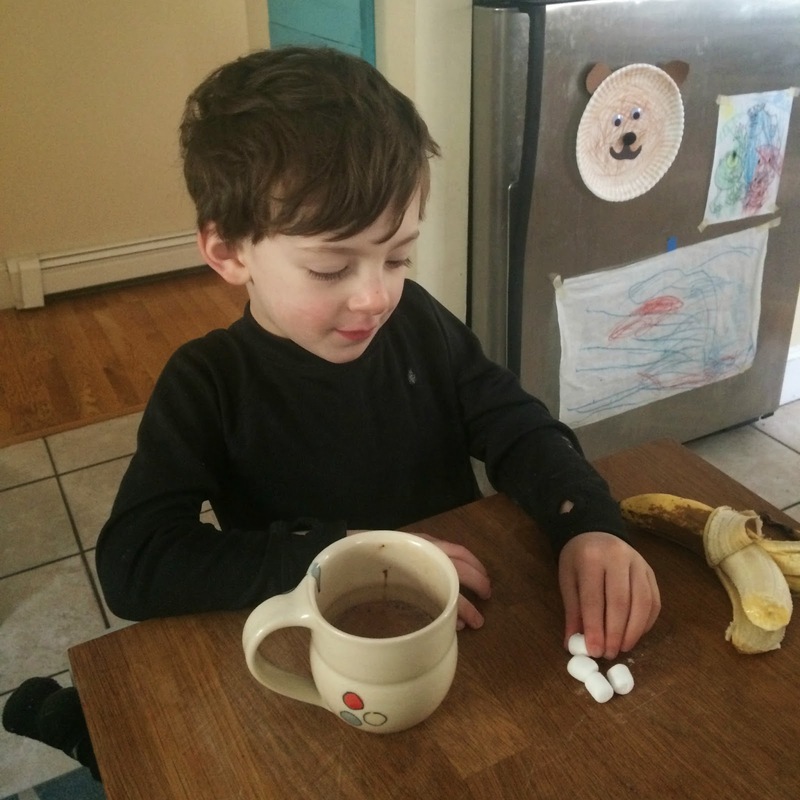 post snow play hot chocolate with the marshmallows on the side, not in the cup.